They’ll tell the story of tonight, indeed. THE TONIGHT SHOW STARRING JIMMY FALLON traveled to Puerto Rico for the Tuesday, January 15 episode to shed a spotlight on the island’s recovery post-Hurricane Maria. 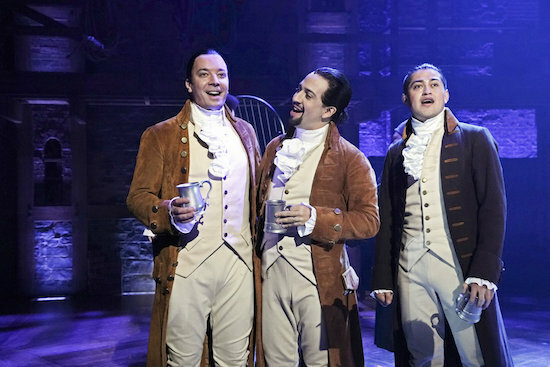 And with Lin-Manuel Miranda reprising his role as Alexander Hamilton in HAMILTON for a limited time in Puerto Rico, he headlined the TONIGHT SHOW episode. A perk of the HAMILTON and TONIGHT SHOW combo? Miranda and the traveling cast of HAMILTON performed “The Story of Tonight” on the show—with an assist from Fallon.